College is a stage in our lives where we explore who we are, think of what we can be, meet new people, and understand more about things in the academic field and life in general. College gives you a broader perspective of life. It can affect your decisions in life in the future after you eventually graduate in your chosen undergrad study. You may also like rental agreement letters. It has many twists and turns but being able to graduate is one of the best feelings in life. But there is one challenge that some college students face that does not concern their academic field but rather their personal life: the place they are going to stay in. You may also see agreement samples. Some universities are found in cities that might not be that easily accessible for other students because they live far away or might be in another state or even country. Even if there are other universities near one’s place, there are just certain universities with a great history or great program that can lure a bunch of freshmen in. With that in mind, those students have to make a sacrifice if they want to go to the university they want, and that is through moving into an apartment near the said university. You can also like apartment lease agreements. Independence will not be the only thing that the student would be exposed to but also a certain legal agreement that involves the student’s occupancy in the specific apartment. That kind of agreement is the sample apartment rental agreement. This article will be tackling about what renting an apartment would mean. Next, it would also be enumerating the parts found in the apartment rental agreement. Lastly, we will be enumerating to you ways on how you can make your apartment feel like your original home. With that being said, we encourage you to take note of the following information because it would be useful in the near future when you would actually venture in looking and settling down for a few years in an apartment for school. You may also like blank rental agreements. It is really a big step to move into an apartment just so that one can be closer to the university he or she is currently enrolled in. But before one does move to an apartment, he or she has to understand what he or she will be going through before, during and after renting an apartment. The during is easy because all you have to do is be responsible for everything that will involve the apartment itself. After that is you would say goodbye to your apartment and kind of thank it for all the struggles and joy you had in your college years where you were in that apartment experiencing those feelings. But for the part where you are going to live in the apartment of your liking, you must first understand why there would be an apartment rental agreement handed to you in the first place in every apartment you would want to stay in. To rent something is like borrowing someone else’s property but paying for borrowing. Renting is common especially in occupying an apartment and in itself is good business with the landlord or with the owner. That is also exactly the reason why an apartment rental agreement is needed for both the landlord and the tenant in order to have the business in full effect by having the tenant occupy the apartment for a specific period of time. The apartment rental agreement is composed of a set of rules and regulation that would involve how the apartment should be handled upon occupation and what are the things that are allowed and not allowed during the stay of the tenant in the apartment. The document would entail everything that has to do with the apartment and have the sample agreements being made by both the tenant and the apartment owner or the landlord. The document would be served as a source if the tenant or the landlord would violate a rule being mentioned in the agreement and would be given proper sanctions. If you are still a teenager, you can have someone to guide you in understanding this kind of simple agreement more so that you would not be misled or misinformed. But do not worry, we will be guiding you through this agreement in the next paragraph. Aside from researching more about the apartment rental agreement, we will also guide you. 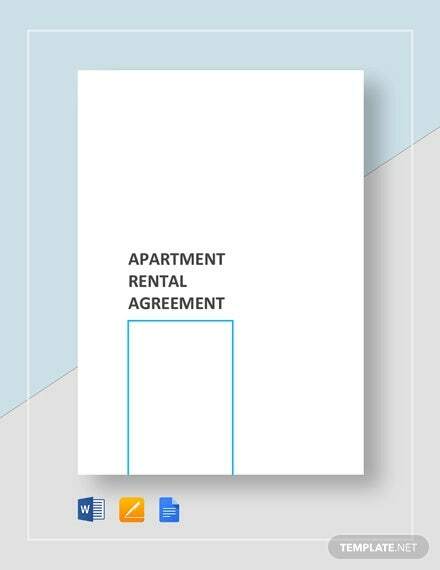 In this part of the article, we will be enumerating and explaining to you the different parts or elements of the apartment rental agreement so that is why we suggest you read the parts carefully and do not move on to the next part if you have not understood the current one you are reading. Read comprehensively and just take your time and move on when everything is clear. You may also see residential rental agreements. 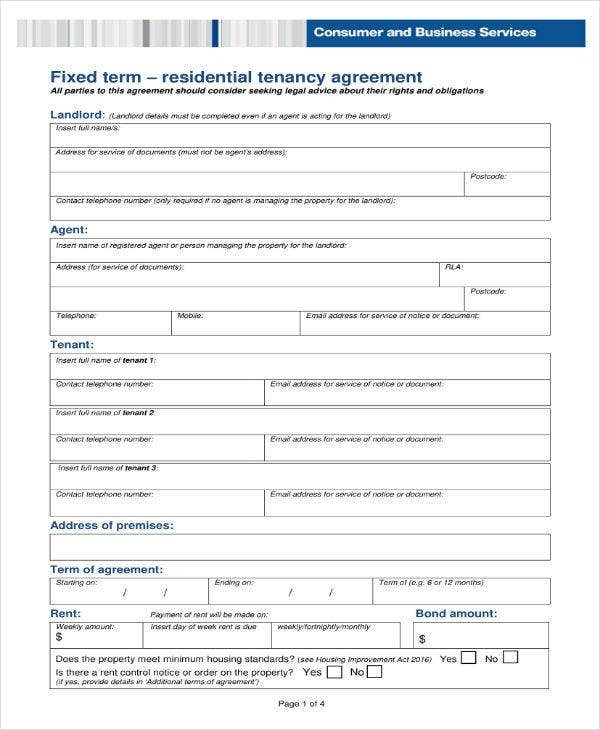 In the apartment rental agreement, it should include the names of the tenant or tenants that will be residing in or renting the apartment for a specific time period. The persons that will be listed here will be held accountable for the term of the apartment rental agreement. You may also like short-term rental agreements. This part of the article will be explaining how long the term of the agreement is and how long a tenant can stay in the apartment and generally, an agreement like this would last for 6 months or one year if dues are consistently paid every month. 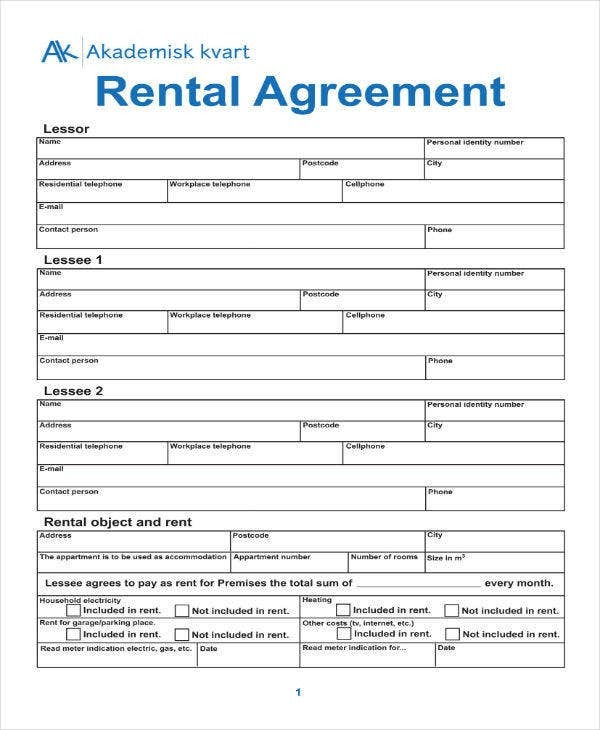 You can also read printable rental agreement templates. 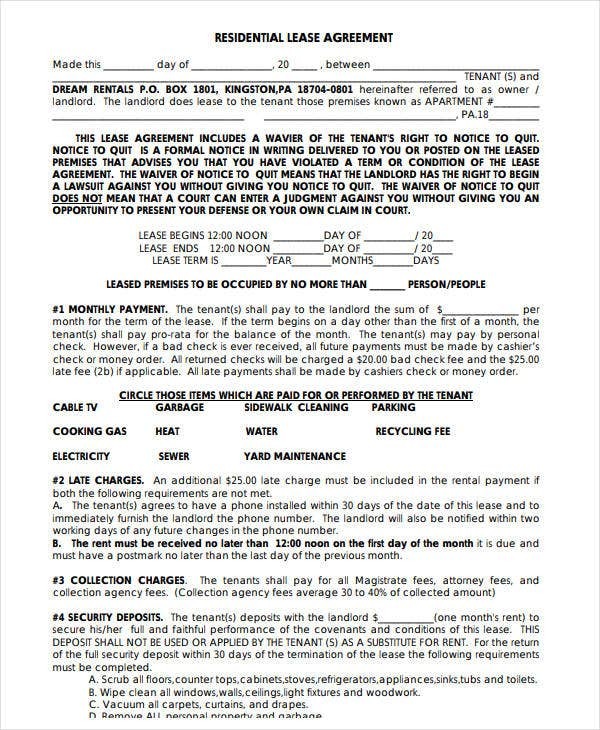 This part of the document will mention the amount per month that the tenant should pay and would include the breakage of the bill in the apartment. It will also include how one could pay the rent at the options would be through paying in the landowner’s office, or via card, or via mail or whatever works for the landlord and is more convenient. It will all depend on the system that the landlord wants. You may also like free rental agreement samples. In this part of the document, it would mention the necessary charges or fines if one does not pay the rent on time or if the payment would be late and if ever there is a breakage in the apartment that was originally owned by the landlord. 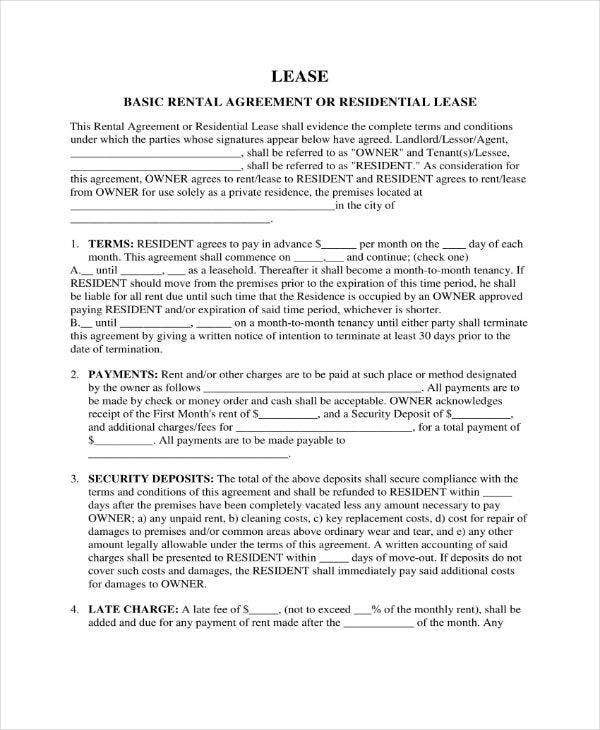 You can also see rent agreement formats. The document would also state the rules and regulations that the tenant should follow and avoid breaking it. The rules and regulations can be range from 10 to 30 rules and it would most likely be made by the landlord and if ever there are any concerns, the tenant can ask to revised some rules but to the point that it would still be beneficial not only for him or her but also for the landlord. 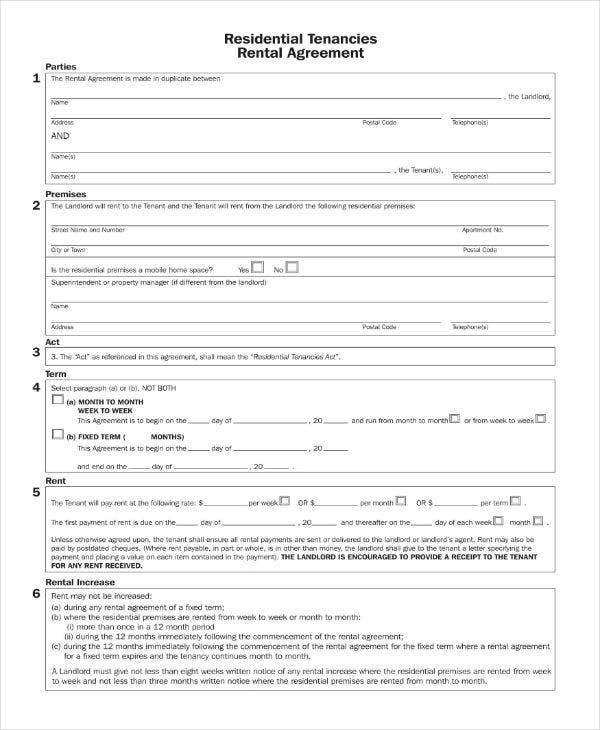 You may also like simple rental agreement templates. This will be made up of the tenant and the landlord’s signature by the end of the document. The signatures of both the tenant and the landlord would signify that both agree to the rules and regulations and every information in the apartment rental agreement and would take effect on a specific date. You can also like residential rental agreements. Those are just some of the parts found in the apartment rental agreement. Remember that these are only the general parts that should be found in the agreement. 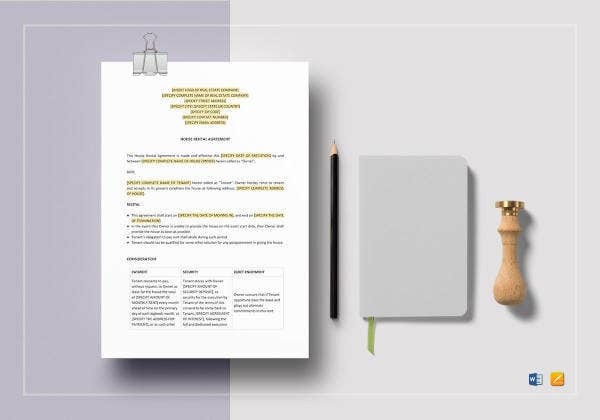 If you want to learn and discover more of the parts of this kind of agreement, just click on the templates and view them because they also compose of different parts in the said agreement. 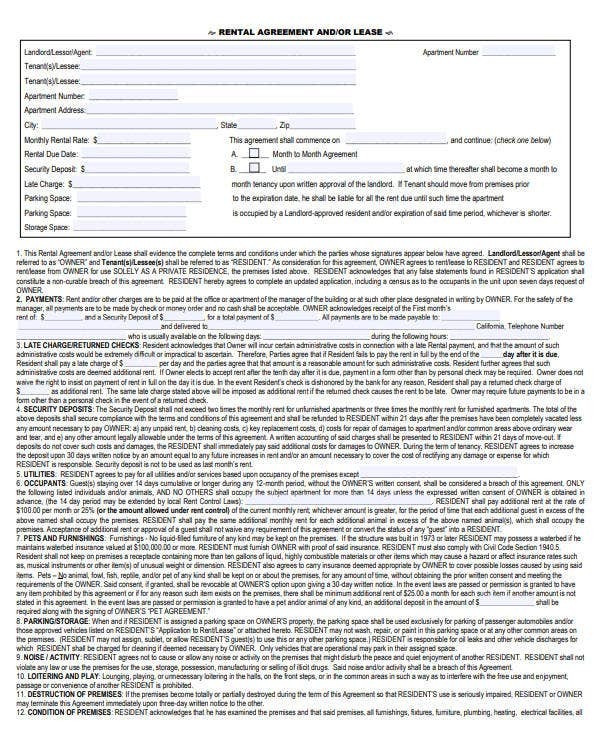 You may also see sample month to month rental agreements. When someone is living far away from home, it is common for one to feel homesick. You would begin to miss your family even if there are times you are enjoying the time being independent. You would also begin to miss the color of your original home, its scent, the furniture, the clothes, the toys and maybe even your mom’s cooking. You can also like short-term rental agreements. One can feel really alone in the apartment but the person can change that. In this last part of the article, we will be enumerating to you tips on how you can make your apartment feel like your original home. 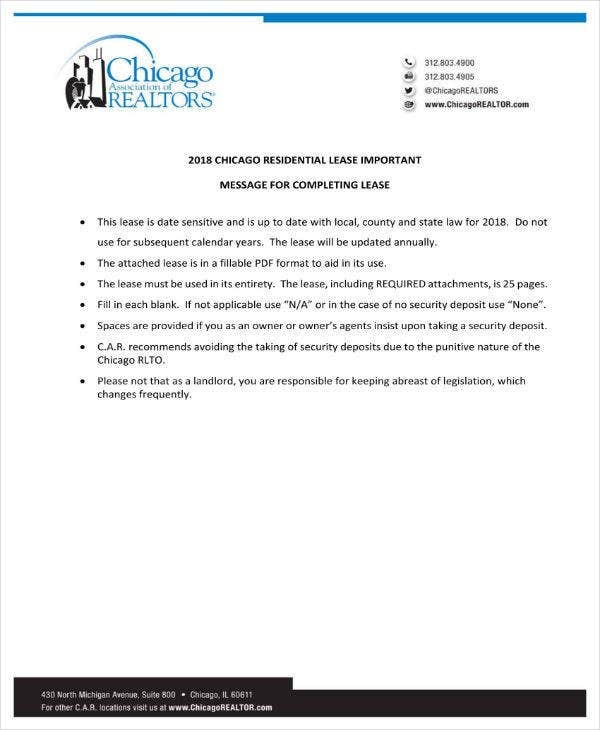 You can also like sample basic rental agreements. 1. Paint it – If the landlord would allow it, paint your apartment with the color of your original home or even with your room. You can also like property rental agreements. 2. Have great lighting – Since you will be having an apartment, you can use your creativity by being the one to decide on the lighting on the corners of your apartment. 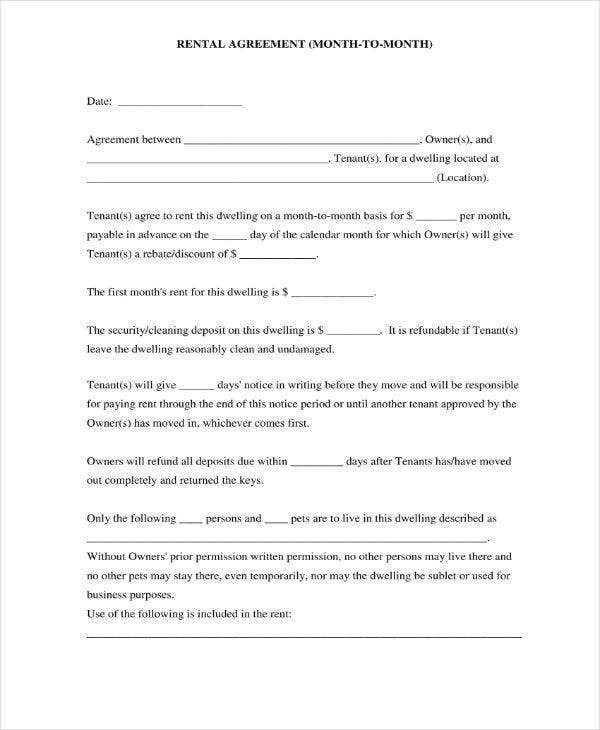 You can also like tenancy agreement templates. 3. Choose a good scent – Make your place smell something that will lift you. 4. Put up pictures – Put frames of pictures of your family and friends that mean a lot to you. These are the following tips that one can use to make themselves feel at home in their own apartment. Renting an apartment makes one practice being independent. Just make sure you pay the necessary bills on time. You may also see simple tenancy agreements.